Below we describe 2 of the key Search Engines we use at Successive Technologies. 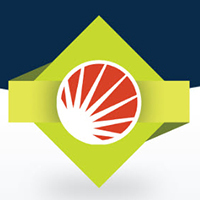 The very popular, blazing fast, highly scalable and extremely reliable. 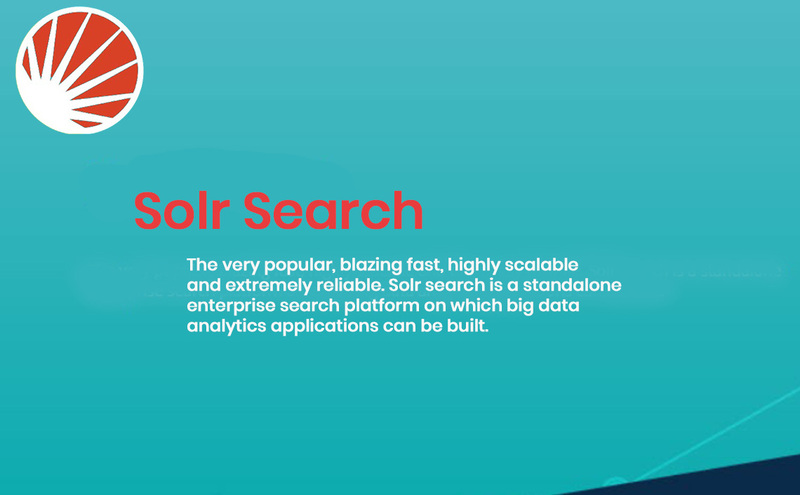 Solr search is a standalone enterprise search platform on which big data analytics applications can be built. Required to search large volume-centric data? 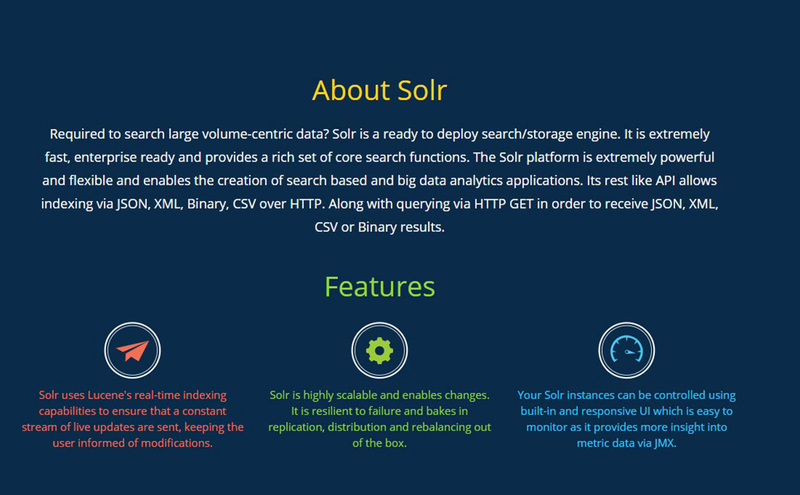 Solr is a ready to deploy search/storage engine. It is extremely fast, enterprise ready and provides a rich set of core search functions. 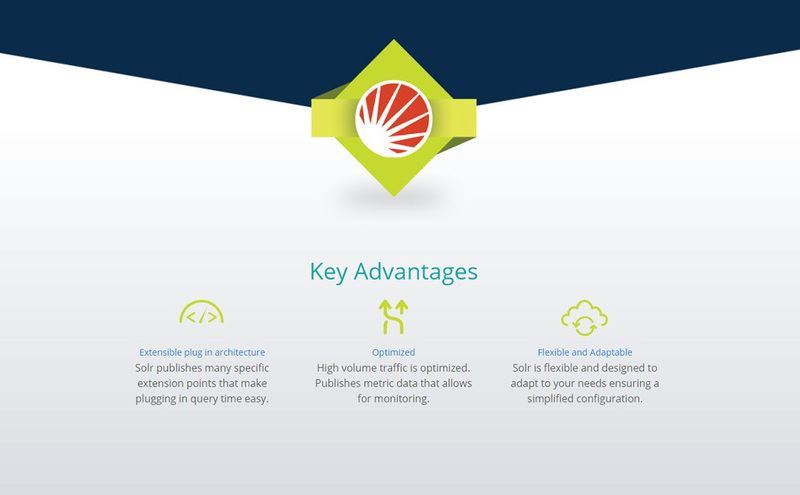 The Solr platform is extremely powerful and flexible and enables the creation of search based and big data analytics applications. Its rest like API allows indexing via JSON, XML, Binary, CSV over HTTP. Along with querying via HTTP GET in order to receive JSON, XML, CSV or Binary results. 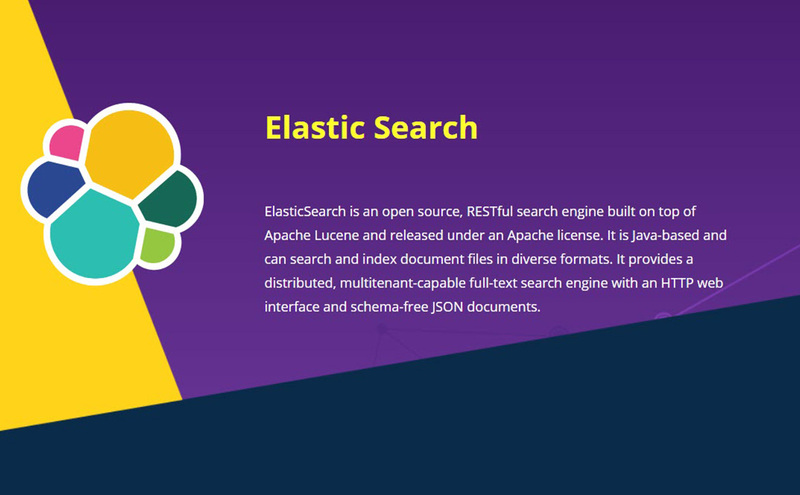 ElasticSearch is an open source, RESTful search engine built on top of Apache Lucene and released under an Apache license. It is Java-based and can search and index document files in diverse formats. It provides a distributed, multitenant-capable full-text search engine with an HTTP web interface and schema-free JSON documents. 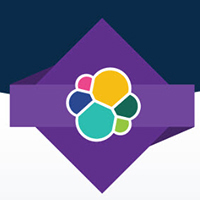 Elasticsearch is an extremely flexible and powerful real-time distributed full text search and analytics engine. 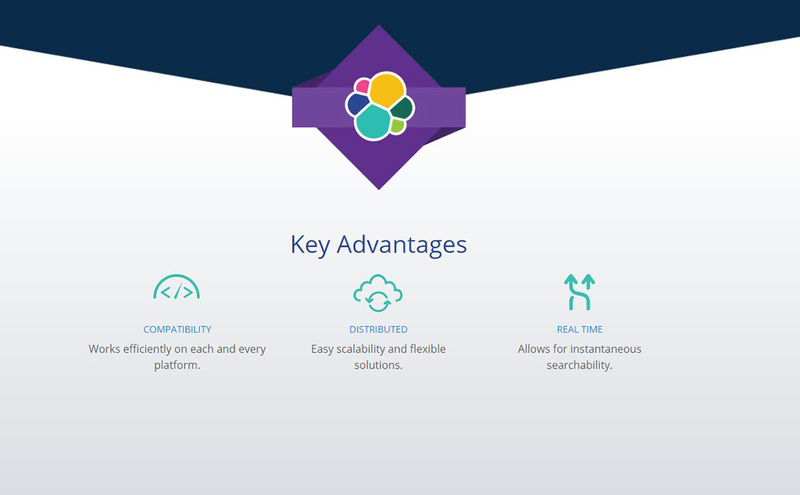 It's easy to operate and high performance engine uses standard RESTful APIs and JSON. 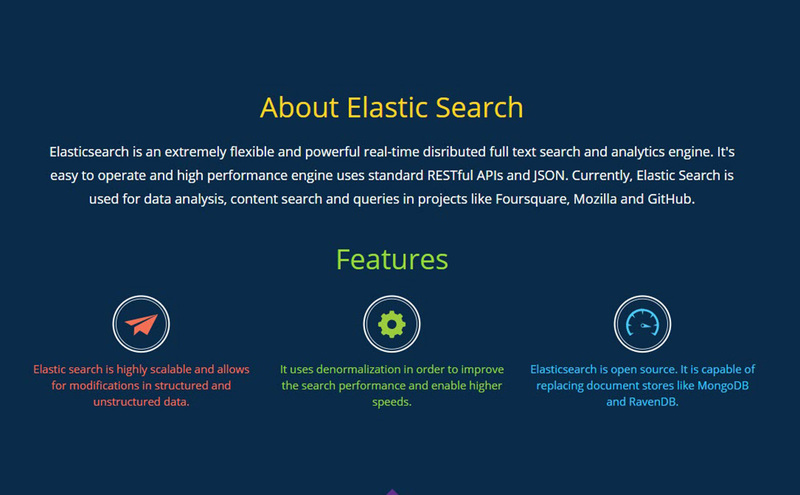 Currently, Elastic Search is used for data analysis, content search and queries in projects like Foursquare, Mozilla and GitHub.